We require a form of ID as a deposit for your key. This is returned upon checkout when key is returned. Koha shed & Love Soup. We also run Crash Palace Creative arts and student exchange trust, Our own charity promoting local creative youth projects and travel in our area. The owners want you to feel the love they have for there passions like Art and Music. 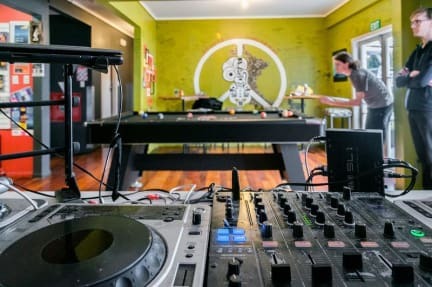 New Zealand's best value hostel Crash Palace provides budget accommodation for backpackers, groups and budget travellers. Consistently rated as one of the top hostels in New Zealand. The 1930's character building has deep funky colours throughout, New Zealand art fills almost every space, and fresh New Zealand music sets the atmosphere for an enjoyable stay. Geothermal heating ensures free heat and hot showers all winter. Crash is conveniently located right in the city close to Rotorua's pubs, bars and markets. We are opposite the Millennium Hotel and 5 mins walking distance from the bus stop. With High Speed Internet, Lockers, 1 Kitchen and 2 Dining areas, BBQ, outdoor courtyard, spa pool, Geothermal heating, and friendly service, it's the perfect place to chill and unwind from your travels. We offer a range of free services, including Tea, Coffee and a selection of herbs and spices and cooking oil. Friday's there is a free meal! In the Winter we make Spaghetti Bolognese for everyone, and in the Summer a Free BBQ!! If you have allergies please be aware that we've got two dogs and a Cat. Crash conveniently located right in the city close to Rotorua's pubs, bars and markets. We are opposite the Millennium Hotel and within 5 mins walking distance off the Main Street, Isite (bus stop), Government gardens, Blue Baths, Polynesian Spa, and a Pac N Save supermarket. With high-speed WiFi Internet, lockers, 1 Kitchen and 2 dining areas, BBQ, outdoor courtyard, spa pool, thermal heating, and friendly service, it's the perfect place to chill and unwind from your travels. Enjoy a beer or wine in our large sunny outdoor courtyard. 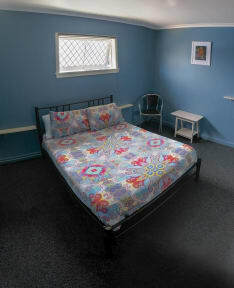 Our rooms have windows, heaters and extra blankets provided on request. There's also a couple of free bikes and washing and drying service available for just $10. Our staff can share information on our local culture and great spots to visit for free in Rotorua. They can assist you in booking any of Rotorua's many attractions and activities at discounted prices. If you have allergies please note that we've got two dogs. All credit card transactions incur 3% booking fee. Everything would have been perfect about this place until we met the Ice Queen at the desk the next morning. Honestly the only mean person we met in all of New Zealand. The staff was great the night before so I'm hoping she was just having a horrible day when we met her. Besides that the place and location was great! This place was better than expected except for the showers and toilets. The vibe was cool and a pretty easy walk. The on site bar was useful and you can bring in guests. The dorm room was good, but there were only 2 showers and the water temperature was not consistent. The bathroom could use an upgrade for sure. Also maybe a fan would be nice. The staff was very friendly. The bathroom is very cold because the window is open the whole time. I think it's a party hostel because the music was playing till really late. Also the hostel is poorly soundproofed so you can hear EVERYTHING! The atmosphere in the hostel was so strange because nobody talked to me not even hello or something without any reason. So this hostel is okay for one night!